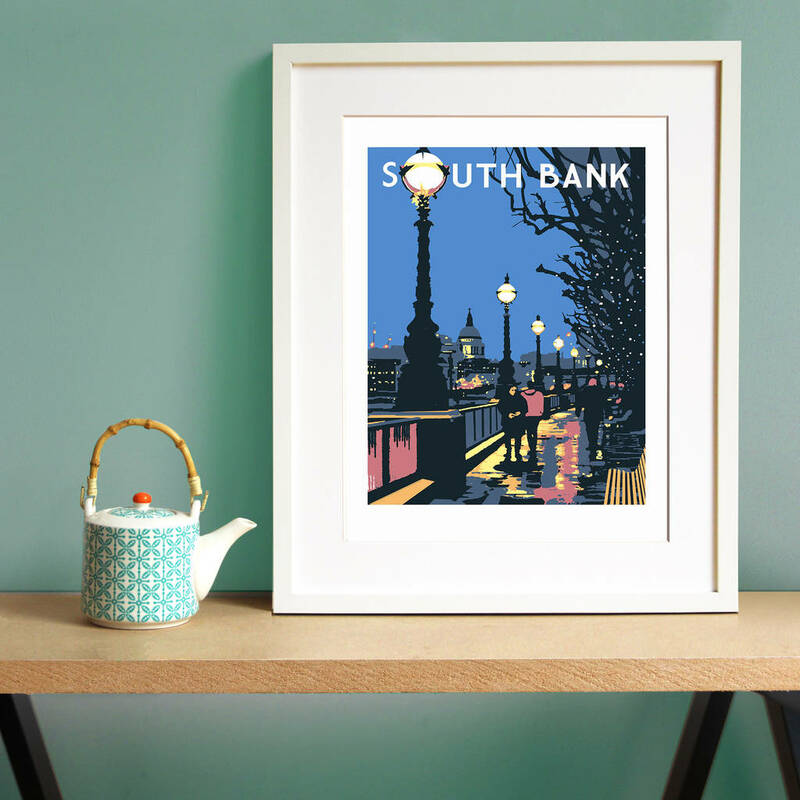 A great gift for anyone who loves London's South Bank. Featuring pedestrians promenading along the Thames opposite St Paul's Cathedral. With its bright colours (yellow, pink, peach, blue) & bold style, this screen print looks great on the wall of any room in the house. Unframed version comes unmounted and backed by cardboard to keep the print flat. This product is dispatched to you by Red Faces Prints.